Julie has an obsession with fire that began after her parents died when she was twelve years old. Her pyromania leads her to take an unlikely job as a forest firefighter on an elite, Type 1 Hotshot” crew of forest firefighters who travel the American West battling wildfires. The only woman on the twenty person crew, Julie struggles both to prove her worth and find a place of belonging in the dangerous, insular, and very masculine world of fire (while also fighting against an eating disorder she's had since her teens). As her season on the line” progresses so do her relationships with the strange and varied cast of characters that make up her hotshots teamand she learns what it means to put your life on the line for someone else. Wildfire is a tough, gritty, and fascinating story from an exciting new voice in American fiction. 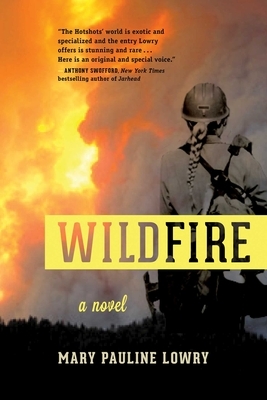 Fans of the movie Backdraft or Cheryl Strayed’s memoir Wild will enjoy this fast paced debut.